Painting with a Twist, located at 5625 E. Virginia Street, Suite A, Evansville, IN. Event is being held from 6:30 PM to 8:30 PM. 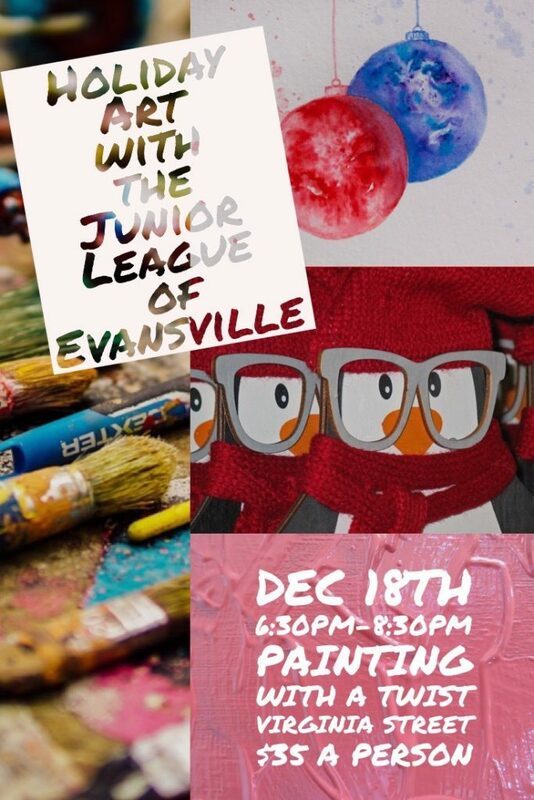 Join us at Painting with a Twist on Tuesday, December 18th, 2018 from 6:30 PM to 8:30PM. Cost is $35.00 per person, and you can pay at the door. Sign up on Digital Cheetah today!